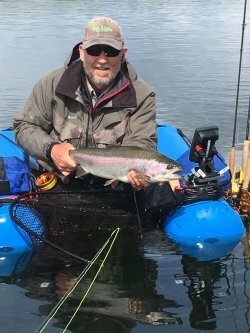 George Krumm is the editor of both Fish Alaska and Hunt Alaska magazines and writes the Stillwater Fly Fishing column in Fish Alaska. He’s fished stillwater throughout the west, and has fished southcentral Alaska’s lakes every year since 1994. He will be presenting on often overlooked fishing opportunities for trophy trout within driving distance from Anchorage. Not the typical high cost Alaska lodge experience. This Alaska adventure can be done very affordably. 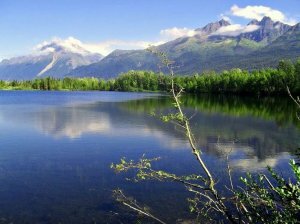 The lakes near Wasilla are ideal for the angler who is comfortable exploring on their own. 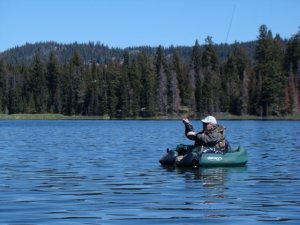 Easily accessible with a rental car and float tube, these local lakes hold trout up to 30 inches and see very few anglers. George will help you understand the seasons, equipment, and tactics to plan a trip and be successful in your pursuit of them.